​1. 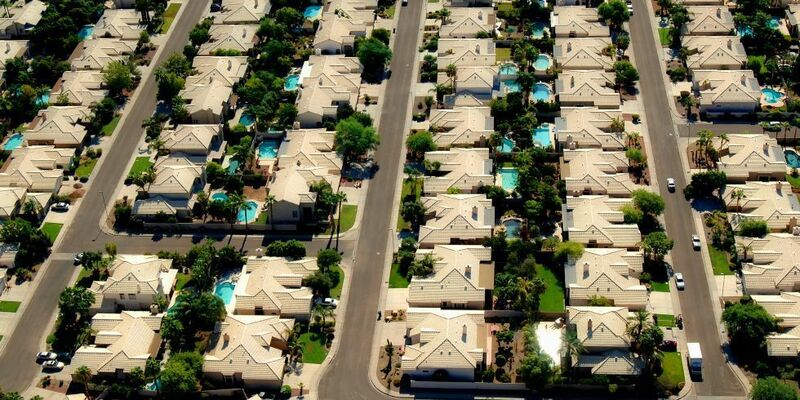 There are more swimming pools in the U.S. than there are residents in New York City. While there are 8.4 million people in the Big Apple, according to the Centers for Disease Control and Prevention, there are more than 10 million residential swimming pools in the United States. Don't have one in your backyard? Head down the street. There are upwards of 300,000 public swimming pools in the country. 2. There's enough water in an Olympic-size pool to take 9,400 baths. Olympic-size pools are filled with about 660,000 gallons of water. Baths take as much as 70 gallons of water a pop. Do the math (or don't, since we already did), and that's a whole lot of bathing. 3. The world's first pool existed before Roman times. 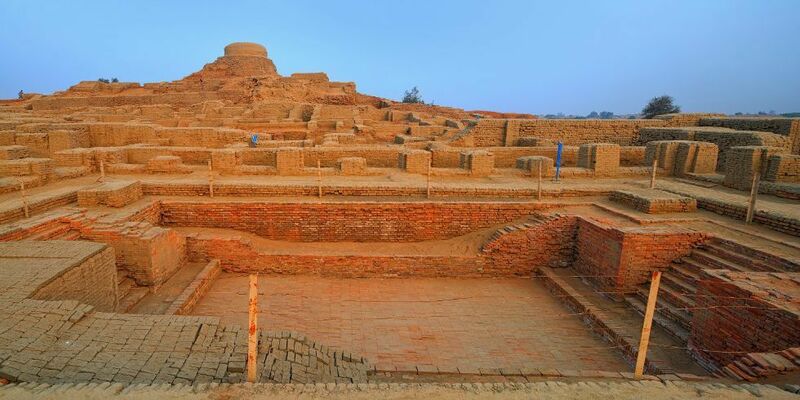 Built more than 5,000 years ago in Pakistan and known as the Great Bath of Mohenjo-daro, the brick, in-ground pool even had staircases on either side that bathers could use to get in and out. Though it likely made a great cooling-off spot, it seems to have been used in religious rituals involving water. 4. The U.S.'s first public pool was indoors. The Cabot Street Bath in Boston, MA, opened in 1868, according to Jeff Wiltse, author of Contested Waters: A Social History of Swimming in America. Its main purpose: for the poor nearby residents to bathe themselves, since they didn't have tubs at home. The country's first outdoor public pool wouldn't open for another 15 years in Philadelphia. 5. The concentration of chemicals in swimming pools is higher than in bleach! By a lot. According to the Environmental Protection Agency, bleach contains 5% chlorine and other household cleaners have just 2% chlorine, but the chemicals in pools contain 12 to 95% chlorine, depending on the size of the pool. Why so strong? Because pools' chemicals, which keep bacteria at bay, are diluted with much more water. 6. 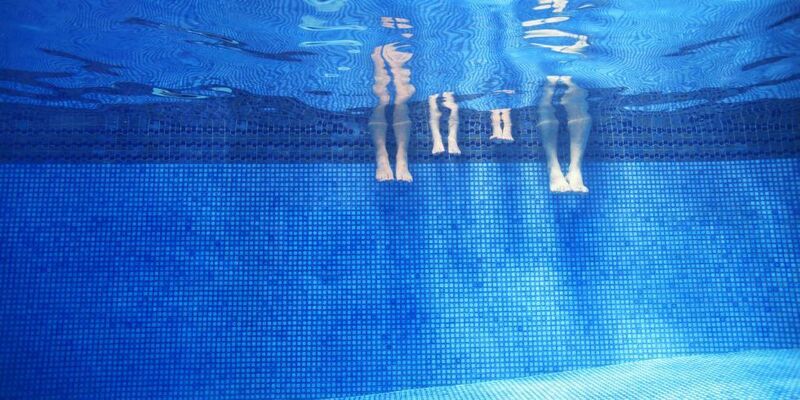 But there's now a public pool in the U.S. that's totally chlorine-free. And it's pretty neat. The Webber Natural Swimming Pool in Minneapolis, which opened in July 2015, uses plants from a neighboring pond to keep the water safe for swimming. Still the pool's site recommends forgoing a swim if you have open sores or are under the weather. 7. The pool that's revealed underneath a school gym floor in It's a Wonderful Life is 100% real. In the famous film, a school dance quickly becomes a pool party when revelers push a button to make the gym floor retract so they can access the swimming pool underneath. The pool was built in 1939 and still exists at Beverly Hills High School in Beverly Hills, CA. It's referred to as the "Swim Gym," but only those who have the key can move the floors. 8. The world's largest swimming pool could fit 11 soccer fields inside it. 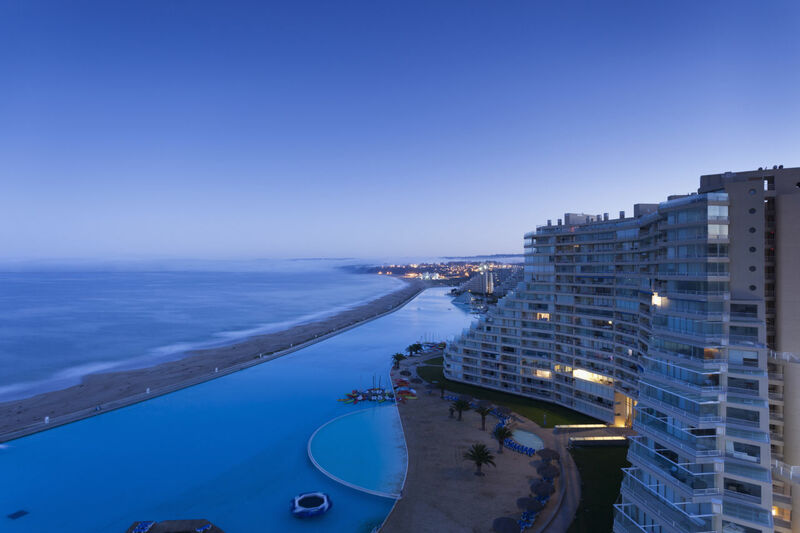 Located in Algarrobo, Chile, at the San Alfonso del Mar resort, this massive pool is the size of 11 soccer fields, or about 20 acres, even though it's only 11.5 feet deep at its lowest point. Still, you can kayak, windsurf and scuba dive without a problem in the 1.5-billion-dollar marvel. 9. There's a MUCH deeper pool in the works for a college campus. If the University of Essex in England follows through with their current construction plans, they'll have a 164-foot-deep pool at the school. That's 10 times deeper than the average Olympic diving pool and four times deeper than even the training pool NASA uses for acclimating astronauts to how space feels. This pool will be used for similar purposes, plus improving commercial diving, research on sea life and human physiology and more, according to the BBC. 10. Elephants love swimming pools. So much that Fuji Safari Park, a Japanese zoo, built an enormous pool for the almost-as-enormous creatures. As the pachyderms plunge, zoo visitors can watch them through the clear glass.